Restaurant chains Eat and Bel-Air are piloting a service in their London locations that delivers real-time receipts to a customer’s mobile banking app by linking to the purchases they make using their bank cards at the retailer’s point-of-sale terminal. 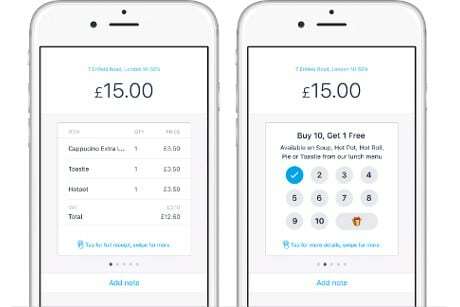 The service is also being trialled by UK challenger bank Monzo. The pilots mark the first launch of Flux, the receipt data platform which aims to “digitise the world’s receipts by linking them to the way we pay”. “Flux delivers real-time receipts, including item data and VAT, directly to customer’s mobile banking apps,” the company says. “Flux does this by linking purchases to bank cards via a software integration to the retailer’s point of sale. “Eat was the first UK retailer to launch contactless payments and are happy to announce that once again, we’re breaking ground as the first retailer in the UK to pilot a receipt solution that adds no time at till because it’s simply linked to how people pay,” says Eat CEO Andrew Walker.